Dutchy, you also do remember those two issues? Yes, I am old enough to remember this and these two indeed were solved. Because they’ve proved to be seriously in error so many times. So is it worth the risk for you, even if the experts happened to be right and the consequences are that half the planet is uninhabitable? Your first and third links are laughable at best. 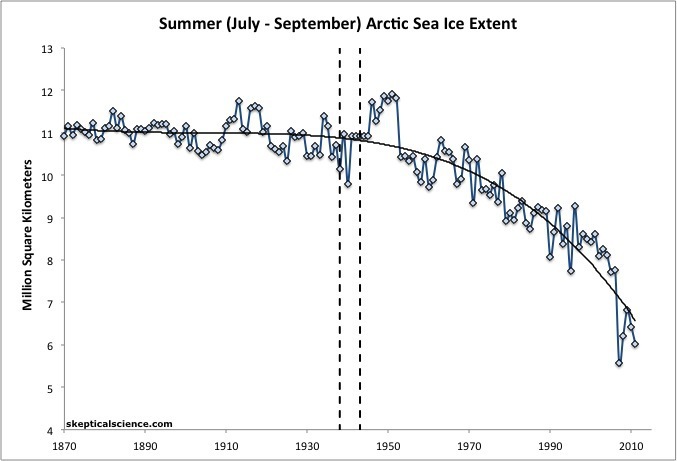 The second link shows there is less ice in the Arctic 1980-2018, which backs up what many of us say. Colony collapse in bees is being examined as being caused by pesticides. No bees means no fruits or vegetables. We need to stop polluting. It will take time to set up factories to produce green alternatives but we need to start this today and not wait until this place is on it's last legs and you righties are saying "gee... I wish we would have know, I wish there were something we could do!" Yes, as I believe the risks of some the actions contemplated is as bad as some of the worst outcomes none of which makes the planet uninhabitable. We’re talking rises in temp on the order of a few degrees which has occurred in history a number of times. Again, when the scientists and politicians pushing this agenda ACTUALLY change their behaviors, I’ll believe it. They need to walk the talk better. They have conferences all over the world, Jet go Davos and Aspen, build large homes and ride in big, long limousines. Stop that, they might be more convincing. Skin in the game, I believe. Ok, the world was a few degrees colder then it is today when there were kilometers of ice sheets in Europe and America. So yes, the temperature is shifting over the centuries, but now it is human-induced and with the shifting in temperature there was a shifting in overall nature as well. A few degrees matter. But hey that is what experts say, so why would you believe them? We have established that you are over 65, so the consequences are not yours and that is quite shameful. But hey, you are rather waiting for a few politicians to change their behavior. Really? Sorry, I do not believe one bit of it. We’re talking rises in temp on the order of a few degrees which has occurred in history a number of times. Incorrect. There have been temperature swings of a few degrees, but never this quickly. The pace of recent global temperature change is what is truly alarming and is also what points to this being a man-made phenomenon. Well, then, we’re screwed because nobody, and I mean nobody, is actually changing behaviors. If time is that short, it’s already way too late. I’ll have another Scotch. I’ve listened to too many experts who proved to be wrong to panic over this one and since no one else, except you lot, are panicking, I’m not either. This is a discussion that's been had in many forums over many years. Up until 20 years ago, the distance where trains were competitive in terms of time was quite low. Now (when flying) you need to add a whole bunch of time for security, checking in your (very limited) quantity of luggage, and squeezing all the passengers on board in single file through one (or at best, two) small aircraft doorways. The flight that you describe as "an easy 2 hours" is in total a much more prolonged slog. As for cost; the average train seat, with a decent corridor and space to walk around, plus access to sensibly sized toilets, and possibly even a buffet & bar, makes the entire experience much more "first class" than economy. It is a pity you haven't provided any numbers to justify that allegation. It would certainly strengthen your case... if it could be proved true. Meanwhile it is unfortunate that some countries are starting this whole process from such a poor position. Grade crossings are almost unknown these days in Europe. Certainly in terms of high speed lines, of which there are many. Likewise, you will not find European locomotives fitted with cow-catchers. 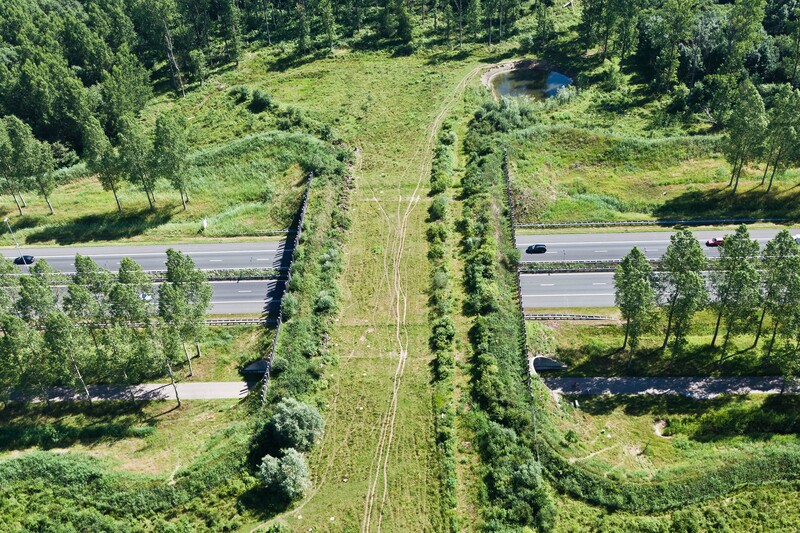 In fact, not two miles away from me are two over-bridges that were constructed not for vehicles or people, but rather so that cattle could safely wander from one side to the other without meeting an InterCity Express. Also, people in Europe who live "in the middle of nowhere" are quite used to the idea that maybe they have to drive 5 or even 10km out of their way, in order to find somewhere with enough traffic to justify a bridge. They have to do exactly the same if there is a river across their path. Accommodating every single unpaved road would be foolish idea. Logically, what is the bigger "risk" - the guaranteed harm and potential destruction of the world economy and way of life as we know it, or the possible disruption to the economy and way of life as we know it for some (only if the alarmists that have had it wrong all along are right this time). I am curious as to why you would even think that is curious. Perhaps your comment says more about you than it does about anybody else? I am not a fan of aviation at any cost. That would just be selfish. Besides, I have already lived long enough to witness numerous "portions of aviation activity" eliminated, or in slightly less dramatic terms, altered &/or reduced. And sometimes there are more important things in life than pushing ever more aircraft into the sky. I would with all that, SD, aviation has become incredibly efficient over the last 40 years. Fuel consumption and noise especially reduced, but also engineering design for safety, operational safety, reduction in content and waste in manufacturing. My car is an immeasurable advance over my Ford Pinto of 1975, but gets better fuel mileage, is more recyclable and light-years better in emissions. These improvements can be attained without upending individual rights, collectivization, ever larger government as planned by the GND. Believe it or not, some of those things came about because of the government. Safety systems, emissions, mileage. I know you hate government but government is good for some things. Both of you my links contain links to the SCIENCE that you like to talk about, but I obviously know nothing about. You're lazy dismissals prove that. Are for bee colony collapse, that has nothing to do with warming. 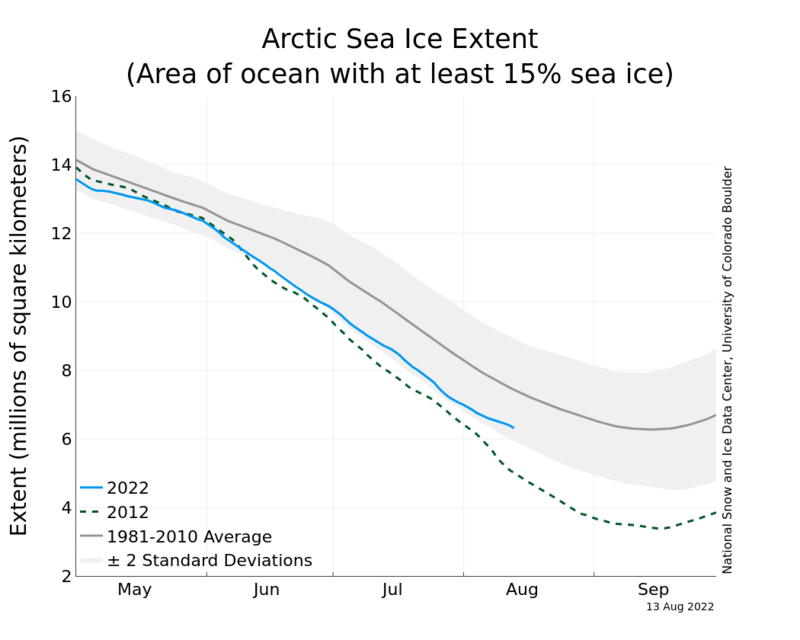 The greatest data suggests oceans are warming and the Arctic ice is shrinking. Your links suggest nothing is wrong. There are some people who claim science proves vaccines cause autism because this or that shady link. It's worth the chance to me, to not give up my right to freedom to carbon taxers. Thankfully, your generation is slowly but surely dying off along with the selfish attitude shown above. It's the younger generation that will have to clean up your generation's mess. Not that you would care of course, as you'll be pushing daisies long before that happens. Easy to take that chance if someone else pays the price. yes, there has been great steps in reducing noise and increasing efficiency, but the increase in planes and cars vastly outways the efficiency steps, so overall more pollution instead of less. So, your link shows that there is a lot less ice today than 40 years ago, but somehow that proofs that there is no global warming? 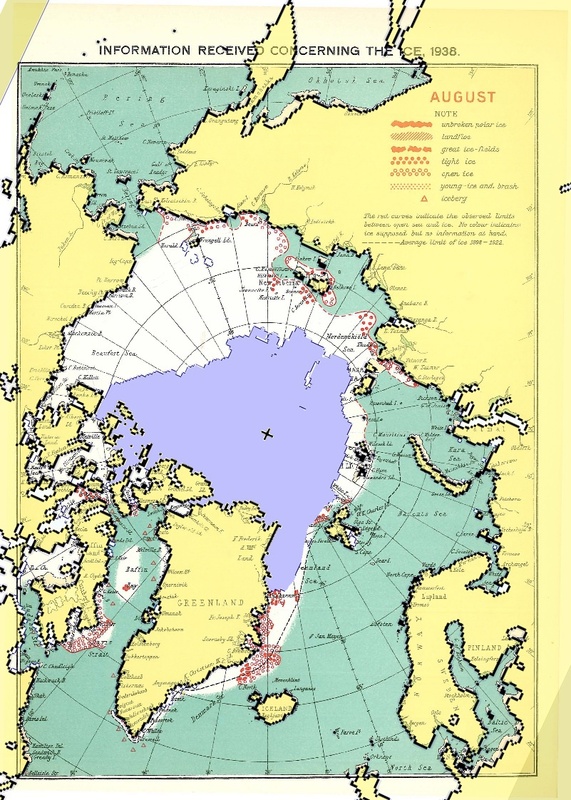 It shows water covered by at least 15% ice, obviously there can be a large difference between fully covered with ice, which is more than 15% or covered with just 15% ice uniformly. Of course you do know that the "data" is worthless in isolation, and post it with deception in mind. gosh, geez, that doesn´t look as harmless as the handpicked graph you presented, does it? Now i could go on and on and on with hundreds of data-sets, while you may be able to dig out a dozen or so handpicked representations to feed your narrative. "But, warming is normal because we are coming out of a little ice age and totally natural". I love how Ocasio Cortez ran on making housing a human right and now she wants to rebuild or renovate every single building in the country, which would make housing utterly unaffordable for many people. Yeah. Every Parliament has some lower IQ, but loud and visible individuals. Normally they don’t last there long, if they don’t grow up. This is normal, I wouldn’t be concerned just yet. But I would be if the number of such characters starts growing. There is not even a conflict between aviation and green power. You do not need to replace planes with trains, you just need to replace the fuel and turbines have very little problems running synthetic fuel made from biomass or converted from carbon in air. And the last solution will become standard in the future, as this is the only sensible way to store renewable energy and answers the problem of energy density for mobile uses. Just for my own edification, which countries provide housing as a human right vs. state it is a human right? Also Article 25 of the Universal Declaration of Human Rights, Article 11 of the International Covenant on Economic, Social and Cultural Rights, Article 16 of the European Social Charter or the Article 34 of the Charter of Fundamental Rights of the European Union. In one form or another you find it in all EU countries, sometimes per simple law, sometimes in the constitution (Netherlands, Art 22; Spain Article 47,...), sometimes as legal tradition (Denmark comes to mind). A lucrative multi billion dollar industry that a majority of people need or enjoy isn't about to be dismantled due to a young political uber extremist senator. That’s not what I asked. If it was truly a human right in the places you mention there would be no homeless in those areas. They would have a home, which they don’t. Talk is cheap. We have shelters too. Say what? A human right doesn't mean that someone actively seeking you out to give it to you. You have to go to a government building and fill out forms, just as with anything else. You truly do get a home here if you cant afford one. This is blown way out of proportion. This all appears speculative, and there's no chance in hell it's gonna stop air travel, or that it's even going to get up off the ground for that matter. It's not about the realism of it. This is obviously going nowhere. This is about the fact that this actually resonates with a large portion of Democratic lawmakers. Really frightening. Precisely right. I think AOC is an utterly hilarious useful idiot and I find her about as harmful as an ant. But her ideas clearly have resonated with some other elected officials and some of the braindead citizenry and THAT is the terrifying thing--that such absolutely stupid, wrong, and foolish full-blown Marxist ideas would get traction in the minds of people. Precisely right. I think Donald Trump is an utterly hilarious useful idiot and I find him about as harmful as an ant. But his ideas clearly have resonated with almost the entirety of the Republican Party and some of the braindead citizenry and THAT is the terrifying thing--that such absolutely stupid, wrong, and foolish full-blown Fascist ideas would get traction in the minds of people. No real point here, just an observation. So all homeless people are homeless because they are stupid or lazy or what are you trying to say? About 1% of the German population do not have a permanent home. Know what? In America, that number is "only" 0.5%. So somehow your precious human right for housing doesn't work as well as you'd make us believe. Also, this was not about criticizing a right for housing but rather the utter stupidity of demanding that right while at the same time ignoring economic realities of housing modernization, which is one of the main drivers of housing prices. One of the reasons housing is unaffordable for many in Germany is that the building laws there are so ridiculous. I read somewhere recently that the majority of all real estate price increases in Germany over the past 20 years were due to building regulation, most of which isn't even conserving energy but just pushed by the building materials lobby. Germans are really in no position to feel morally superior on housing. It won't be dismantled because of AOC and her personal agenda. However it will be dismantled when enough people are willing to accept that too much of it is a bad thing. Meanwhile let's have some fun with all your red herrings. 1) "A lucrative multi billion dollar industry"
If that is sufficient reason to maintain a way of business, there are a number of Mexican drug cartels who will gladly employ you as a lobbyist. 2) "that a majority of people need or enjoy"
Oh really? If you add up all the passengers around the world, the airline employees (& sub contractors), airport employees (& sub contractors) and every employee at Airbus & Boeing (& etc etc), are you going to come up with 3½ billion people? For a start, it will not even come close. Secondly, very few of them actually "need" aviation. An exception might be a casualty at the side of a road, or half way up a mountain, waiting for an air ambulance. Aside from those rare cases, who else really needs aviation? if the money invested in aviation were to go elsewhere, guess what? The jobs would follow the money. And suddenly you will find people "need" the Green Deal, because it provides employment for many of them. As for "enjoy" aviation; here's a strange thing. I used to "enjoy" football. Then I broke my leg. Now I enjoy something else. Life on this planet will not suddenly cease because aircraft stop flying. The human species is remarkably capable of adapting - in most cases. Obviously Trump supporters are a special sub-set that are unable to manage this, but I guess I can live with that problem. Let's see what we've actually got left, after editing out the surplus. An industry that some people think they need as a comfort blanket is hopefully about to be overhauled due to a US senator starting the ball rolling. 1%? Seems like a lot for Germany. It made me curious for the Dutch numbers and that is 0,18% and with those numbers can be psychiatric cases, so difficult to get off the streets. So could you provide us with the source for your numbers for Germany? n fact, not two miles away from me are two over-bridges that were constructed not for vehicles or people, but rather so that cattle could safely wander from one side to the other without meeting an InterCity Express. Even if you adjust for the increase brought about by Angela Merkel's massive refugee failure (probably the worst policy decision of the 21st century in Europe by far up to this point), the share of the total population is still 0.5% and thus not lower than in the US - using the high estimate for the US. If we use the low estimate, the US are better off than Germany. By the way - all of the numbers used, both for Germany and the US, refer to people who were homeless for at least one night in the year studied - this includes people who crash on friends' couches, not just people who are literally without shelter. The actual number of people who are homeless on any given night is approx. 20% of those numbers in both cases. You have to go to a government building and fill out forms, just as with anything else. You truly do get a home here if you cant afford one. And so? You can do that here too. The US spends a great amount of our GDP on the Military, and rightfully so, to keep America safe and strong. There are other superpowers, and the best policy is to be strong. If these little EU darlings had to spend what we do on Defense, there'd be precious little funds left to keep their utopias afloat. Spending this great amount of GDP on military would have been great if you actually could afford it, to begin with. A person is homeless if he or she does not have a residential space secured by a rental agreement or is the owner of one and uses it himself or herself. That is a lot like unemployment rates, they are done by different definitions. Difference being here you get a place to live, in the US you have just filled out a form. Don´t try to tell me otherwise, my oldest US friend became homeless after an accident ruined her back, and her Job went with it, and last time i visited her i had to drop of at a charity shelter every evening..... about a year after she had lost her house. Because, like every "fact" he presents, it is nonsense. You get to one percent not having their own place if you add the 440.000 Refugees/refugee seekers that don´t have permanent resident of their own. I already conceded that above. I also mentioned the definition thing. You can go back to sleep, German genius. I don't get why the development of high-speed rail is so detested. China's been developing high speed rail lines by the thousands of miles. I guess it's down to 'not invented here' syndrome, I bet if high speed rail was a US idea there would be high speed rail lines all over the country by now. If you look at it logically only coast to coast travel would require a plane, all other travel a high speed rail line would likely be just a quick or quicker once you take all the waiting around done in airports into consideration. You can go back to sleep, German genius. Sleeping at 9 am in Germany? You don´t know many Germans do you? The irony is not lost on the fact that the US spending on the military is the largest social program in the US. "The US spends a great amount of our GDP on the Military, and rightfully so,"
That there my friend is called "an apology". Even as you were typing those words, you knew things didn't add up so you added "and rightly so" to help convince yourself you have a case. "to keep America safe and strong"
As for the other superpowers, what exactly are they going to do? How are they going to gain a foothold in the US? Slide a few thousand landing craft into the Everglades and hope nobody notices? Launch a mass attack on Alaska using kayaks and dog sleds? Or follow the Japanese approach and sneak up on Hawaii? Based on geography alone, your biggest threat is from Canada. Bonne chance! In reality the US itself is as safe as … a very safe thing, wrapped up in cotton wool, and stored in a bank fault. Countries under the protection of the US might be in a different situation; some of them rely on something defined as "power projection". As for keeping America strong; this is just typical partriotic BS. What you mean to say is "keeping America strong, so that we can poke our nose into other people's business." I will admit there was a time when much of the world was grateful for a strong USA. Two world wars and Korea attest to that. These days I subscribe to the philosophy of having an army based on the Luxembourg model, with a Navy like that of Switzerland, all backed up by the Irish Air Corps. And with all the money left over from not spending on defense, America could become a really powerful nation.